This is an open studio gathering where you can get together to create with others. This is a very informal gathering of artists and creativity-seeking people. No registration is required. An Art Critique Group meeting is held at the Monroe Arts Center on the 4th Tuesday of the month, at 1:00 pm. MAG has no bus trips scheduled at this time. Look for dates and information about the Next Event at www.paintandpouratcannovas.com. 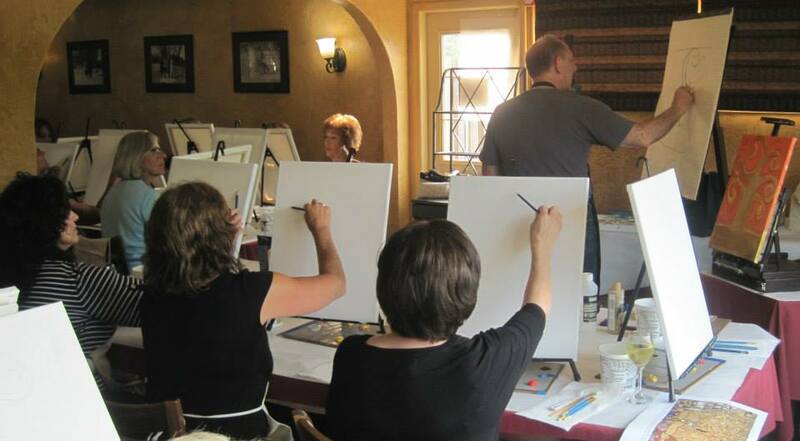 Enjoy wine and food provided by Cannova's while you paint with instructor Barry Treu. Visit the Freeport Art Museum's website to see the programs and classes offered through the Education department. Visit the Freeport Park District's website to see the programs and art classes offered in their current, downloadable Program Guide.